Teachers ...use this matching activity for small groups or in a work station. It is great for Halloween or Fall math activities. 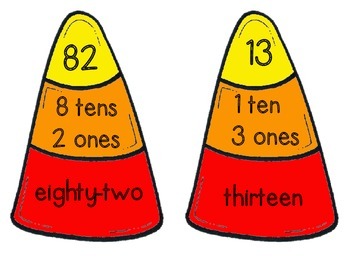 The students match the place value candy corns. 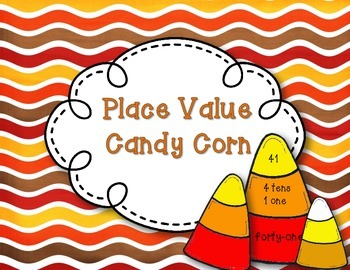 Made by kathy driver for 2nd grade hallway.